The little rabbit can't get enough of delicious vegetables! Help the greedy little furball in this cute platform game to collect all the healthy treats. Find a way through challenging levels and avoid dangers like spikes and crumbling platforms. Can you complete all levels with 3 stars and fill the rabbit's stomach? 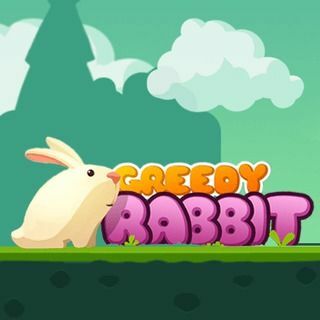 Greedy Rabbit - Find Greedy Rabbit in our vast HTML5 games catalogue. Only the best and newest HTML5 games for all audiences. Guaranteed success with Famobi.